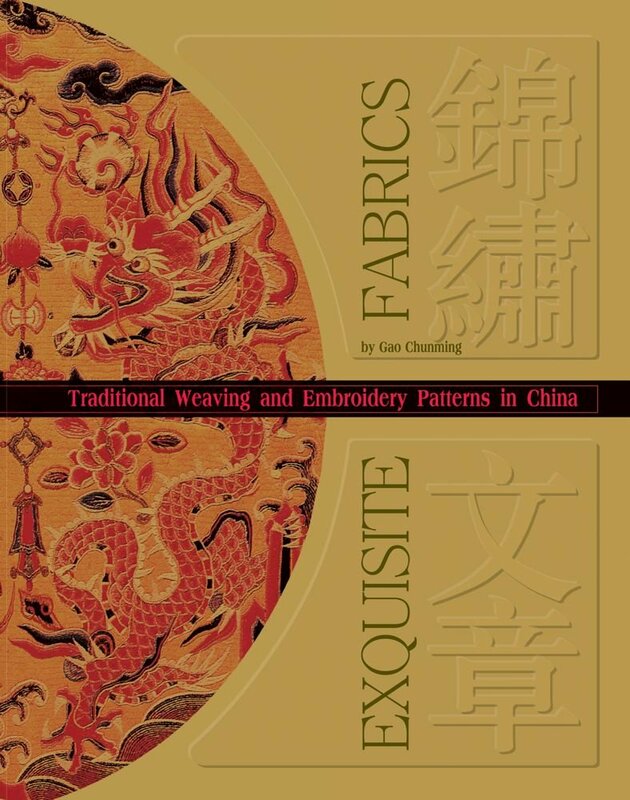 Nearly all of the early collections of Chinese dress and textiles in North American museums ultimately are traced to the Beijing art market, whether acquired first hand or through the agency of collectors selecting from previously acquired materials. This continuing series highlights some of the personalities involved with the movement of Ming (1368-1644) and Qing dynasty (1644-1911) artifacts from China to the West. 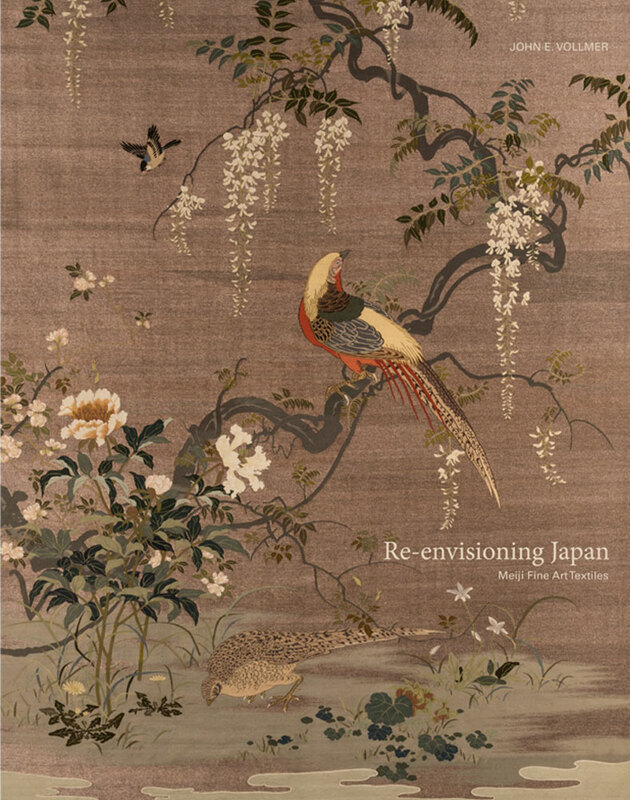 On offer from established antique dealers or from peddlers, the deluge of Chinese textiles in the Beijing art market from the period of regime change in 1911 to the Japanese invasion in 1937 was staggering. George Crofts about 1915. 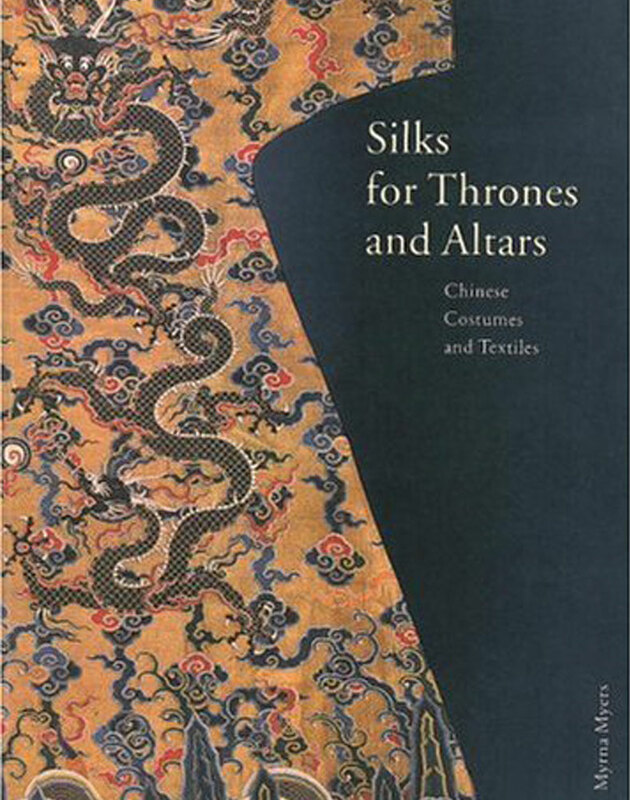 Courtesy the Far Eastern Library of the Royal Ontario Museum. George Patrick Joseph Crofts was born in Bermondsey, Surrey, on 22 November 1871 to Robert Crofts and Ellen Georgina Barry Crofts, the seventh of eight children. Little is known about his childhood or education, but by 1899 he was already in China, presumably involved with fur trading business in the treaty port of Tientsin. This was his main business and remained in operation until 1924. In 1902 George Crofts married American Margaret Hardie Wilson (1863-1935) in Tientsin. By 1912, and probably earlier, Crofts was engaged in sourcing antiques for various London dealers including S. M. Franck & Co. S.M. Franck & Co. was a wholesale dealer established since 1883 in the City of London. The company supplied Chinese antiques to both retail dealers and institutions such as the Victoria and Albert Museum. 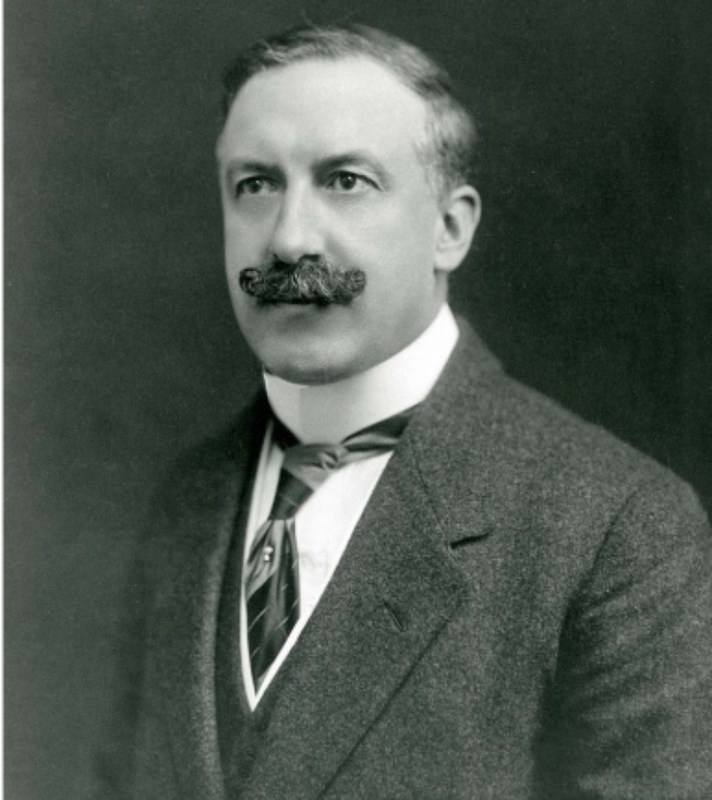 In 1914 Charles Trick Currelly (1876-1957), the founding director of the Royal Ontario Museum, purchased a small selection of Chinese art for the Toronto collection. 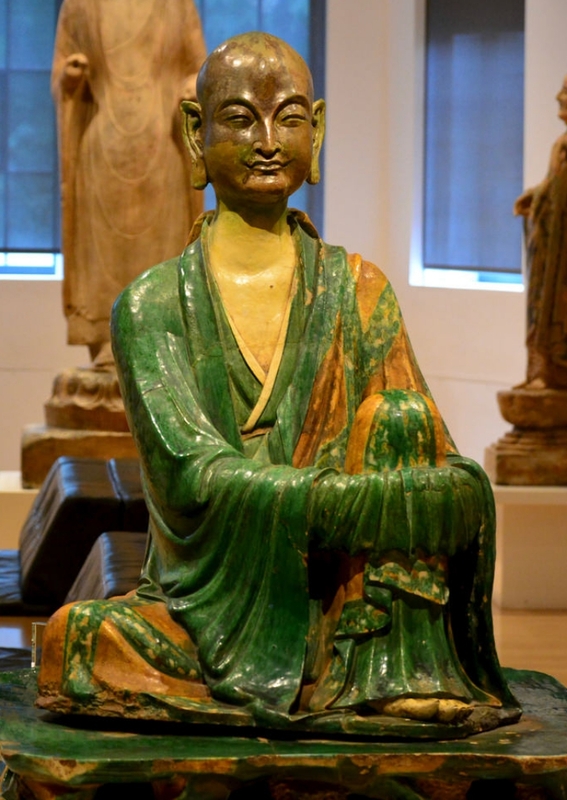 Among Currelly’s purchases from S. M. Franck & Co. was an over life-sized glazed ceramic figure of a seated Buddhist disciple, or lohan, that Crofts acquired from an antique dealer in Beijing in 1912. (Others of the set are in the British Museum, Metropolitan Museum, Nelson-Atkins Museum, University of Pennsylvania Museum and the Musée Guimet). This acquisition proved particularly fortuitous. In November 1918, while Currelly was showing a visitor around the museum, he missed another caller, who left a card. Seeing the name of George Crofts on the card, Currelly tracked him to the King Edward Hotel on Toronto’s Front Street. There, Crofts admitted he had been curious to see what else the Museum held besides the rare luohan sculpture he had sold in London and which he had seen on a postcard in the hotel. 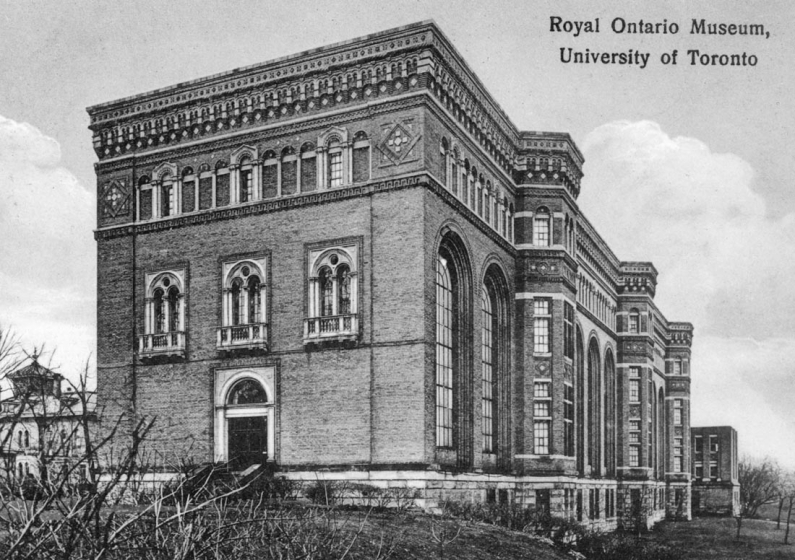 Original 1911 wing of the Royal Ontario Museum, Toronto, photographed in March 1917. © University of the Toronto. Currelly reportedly told Crofts that the museum hadn’t a “farthing” to spend. Nonetheless the meeting led to an agreement that the Museum to pay shipping plus costs for pieces acquired from Crofts. 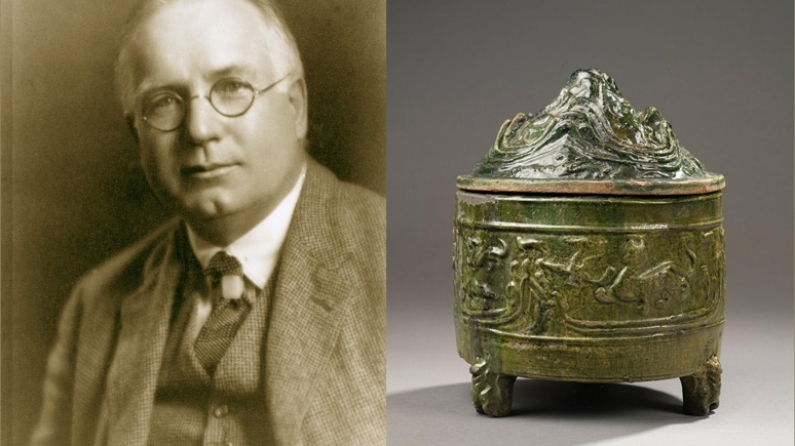 The agreement remained in effect until 1924 with Crofts providing a steady flow of Chinese artifacts that now form the George Crofts Collection at the Royal Ontario Museum. 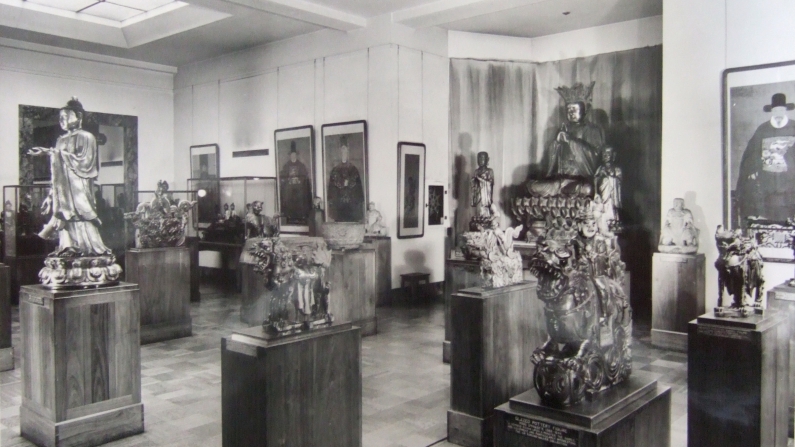 Chinese galleries at the Royal Ontario Museum, 1957. Nearly all of the artifacts on display in this gallery are part of the George Crofts Collection. Courtesy the Far Eastern Library of the © Royal Ontario Museum. 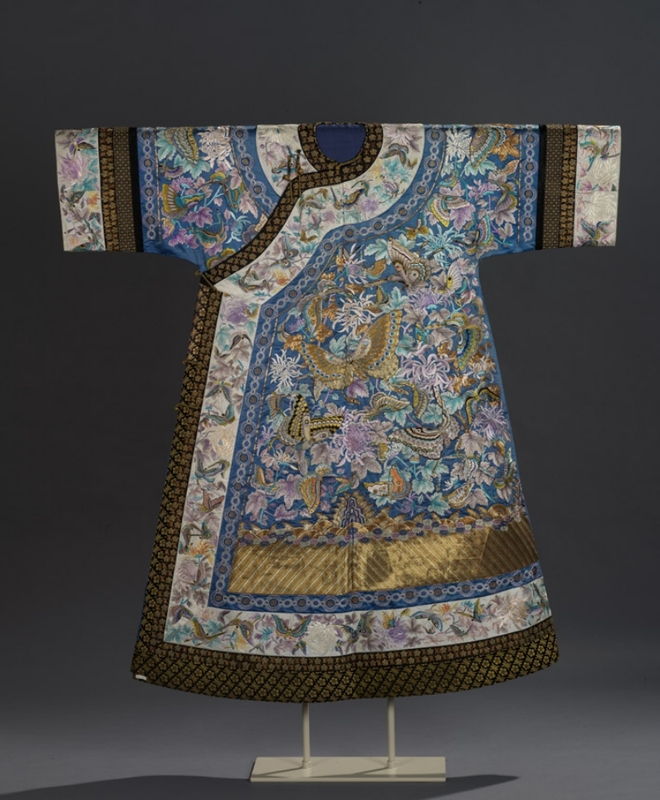 Nearly 600 artifacts of Chinese dress and textiles were acquired for the Royal Ontario Museum between 1918 and 1924, in addition to several thousand pieces of Tang dynasty ceramics, palace furniture, ancestor portraits, snuff bottles, glass, jade and other objects from George Crofts. Thus, one of the earliest major public holdings of Chinese art in North America was formed. 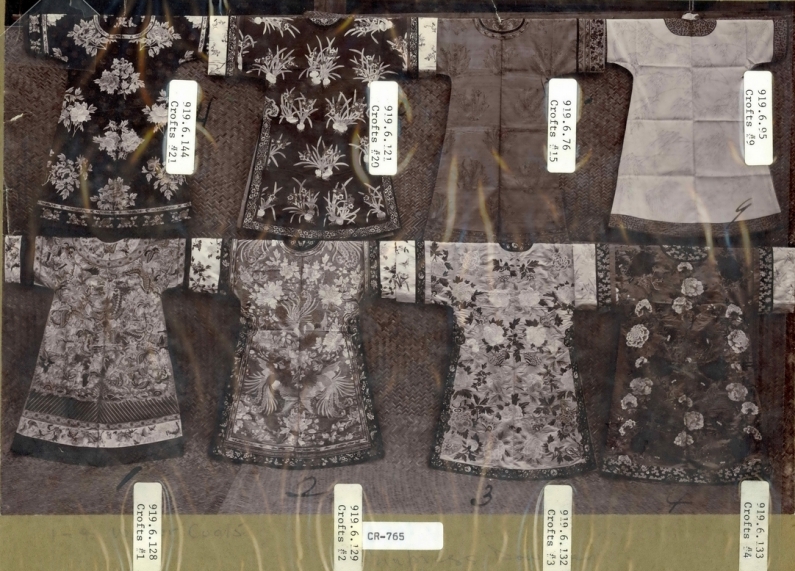 Chinese robes offered to the Royal Ontario Museum, ca.1918. George Crofts Album, © Royal Ontario Museum Far Eastern Collection. Among the first benefits of the agreement was a shipment of nearly 300 robes acquired on the art market in Beijing that came to the Museum in early 1919. A donation from the Robert Simpson Company, a major department store in Toronto, paid for the acquisition. 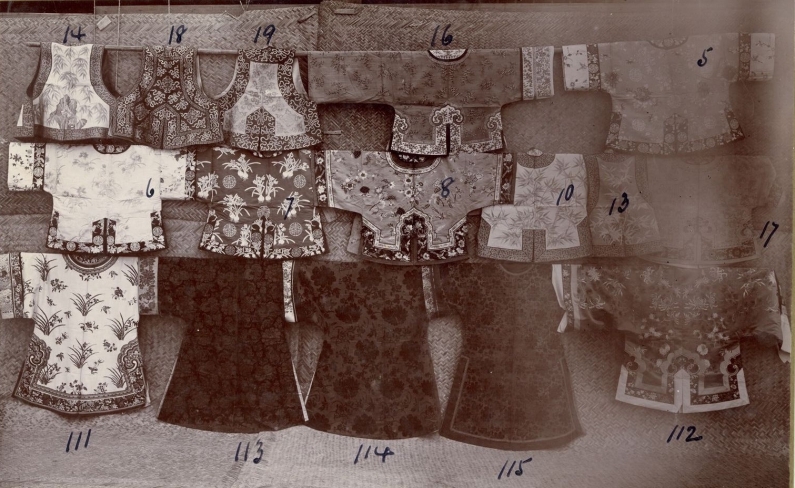 Selection of Chinese robes reportedly from the wardrobe of the Empress Dowager offered to the Royal Ontario Museum, photographed in Tientsin, China, ca.1918. George Crofts Album, © Royal Ontario Museum Far Eastern Collection. The Crofts shipments of imperial garments sent were accompanied by notes identifying the wearer’s rank, the type of garment and his assessment of quality and rarity. We do not know who supplied this information to Crofts. 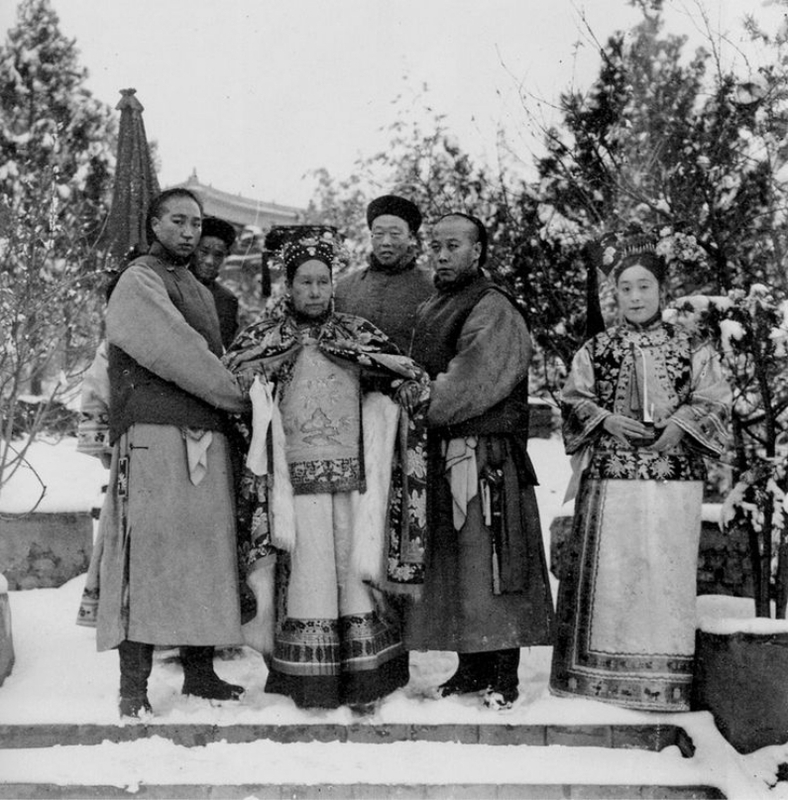 Many of the garments undoubtedly originally came from the imperial palace, probably supplied by palace eunuchs after the abdication of Puyi in 1912, We do not know how many times such items changed hands before Crofts acquired them. This acquisition included a group of 35 women’s informal robes originally identified as coming “from the wardrobe of the Dowager Empress.” More recent research suggest that while the garments have a strong association with the court of Cixi, most of the Museum’s robes are likely not attributable to her person. Nonetheless, two robes are so outstanding in terms of the sophistication of their design and imagery that the only person for whom they were made would have been Cixi. One with nine phoenixes—appropriate only for the empress—is related to several other surviving phoenix robes at museums in the West and at the Palace Museum, Beijing that are also attributed to the wardrobe of the Dowager Empress. 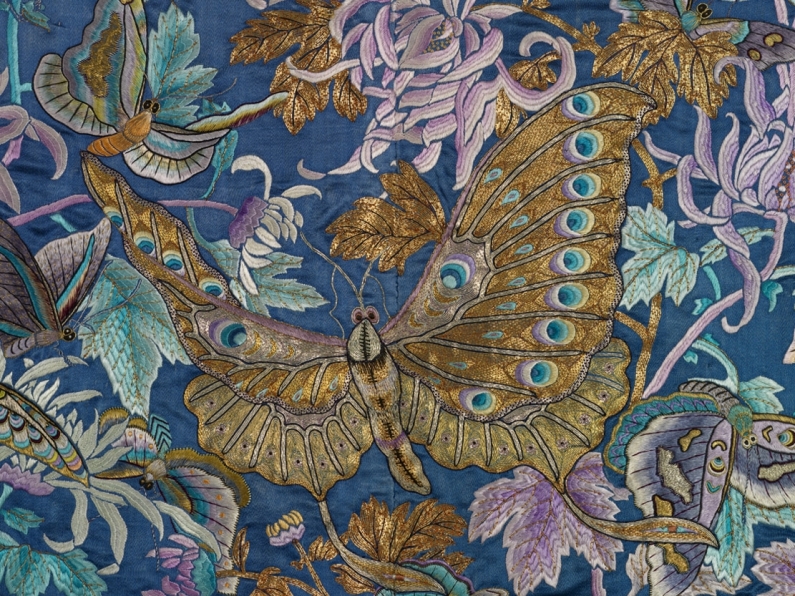 Another with a “100 butterflies” is a masterpiece of the embroiderer’s art. Woman’s informal coat (chenyi, silk satin embroidered with floss silk, gold- and silver-wrapped threads, Qing dynasty, reign of Guangxu 1890-1899, 139 (length), 133.5 (width). © Royal Ontario Museum, The George Crofts Collection, Gift of the Robert Simpson Co. Ltd., 919.6.128. Detail of woman’s informal coat (chenyi, silk satin embroidered with floss silk, gold- and silver-wrapped threads, Qing dynasty, reign of Guangxu 1890-1899, 139 (length), 133.5 (width). © Royal Ontario Museum, The George Crofts Collection, Gift of the Robert Simpson Co. Ltd., 919.6.128. In 1922 the University of Toronto conferred an honorary doctorate on Crofts for his contributions to the Museum and the province of Ontario. A labor dispute in 1924 ruined his business and he and Margaret Crofts returned to England, where he died on 5 April 1925 at Kings College Hospital, London at age 53. 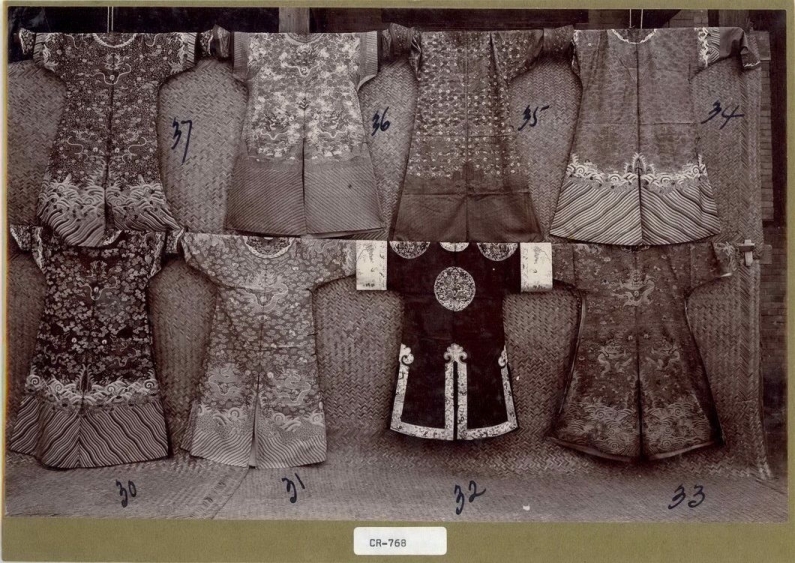 The second from the right on the bottom row, is an emperor’s surcoat (gunfu), silk satin, embroidered with floss silk and gold-wrapped threads, Qing dynasty, Xianfeng emperor (r, 1850-1861), possibly only a yardage before its tailoring in the early 20th century with added Han woman’s robe facings and sleeve turn backs. © Royal Ontario Museum, George Crofts Collection, 919.6.57. As examples, these artifacts preserve a moment in the history of collection Chinese art at the beginning of the 20th century. The demand, as well as the expectation of what constituted an “authentic”, antique garment during this period is evident in the “marriage” of components from diverse ensembles and the embellishment of plainer robes to make them appear more glamorous. Untailored yardages from palace stores were frequently made up for market, sometimes correctly, but often not. Fragments and scraps were tidied up with framing mats. Each of these “fixes” has distorted reality and must be factored in to any larger assessment of Chinese dress and fabrics.